Like an early morning sunrise or a spectacular sunset,the warm orangey tones are popular this Season .Once a color to be avoided, orange is now on the must-have list of jewelry colors this year, in all its different hues. 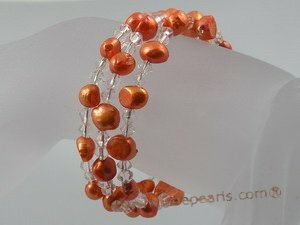 Use the orange color pearls , it can design into necklace,bracelet as well as pendant. 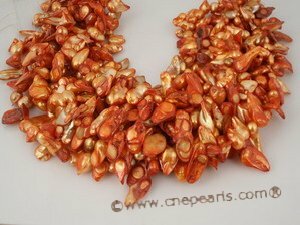 the simple orange pearl strand can shock every one by its strong hue, when make into pearl necklace , it must be more attractive. 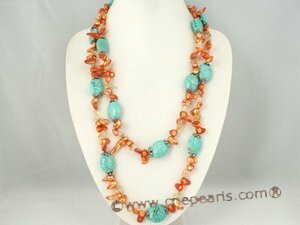 Opearl necklace alter with the orange pearl and turquoise,is very vivid but no so shining. 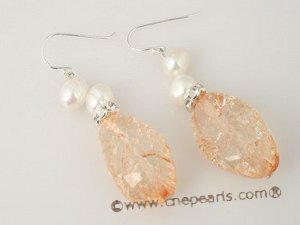 earring make with the orange crystal and white pearl will make every one more charming. 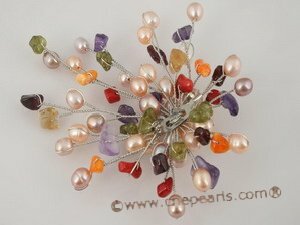 if you looking for a colorful piece ,this brooch may fit for you., of course the orange can't be lack . 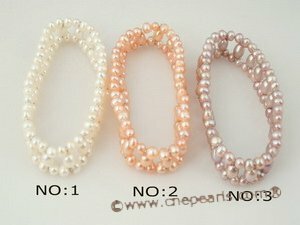 Even the length of pearl bracelet is much smaller than that of peal necklace, the way to choose a piece of pearl bracelet is very similar to that of the pearl necklace, the length must be concert first ,bracelets are typically 6.5 inches to 7.5 inches in length and most American women use the 7.0 inch length. To choose a bracelet that fit comfortably,the elastic bracle and spring bracelet is a good option, It can be easily to wear and removed from the arm. If you want to get a unqiue bracelet , concern the color wounld not be wrong ,The green ,gold,champagne color pearl bracelet can make into a bracelet looks more shine and charming. At a recent premiere in London Rihanna was spotted in a black jumpsuit, opera length lace gloves, & laced in a pile of pearls. What more can you expect from the fashion icon that is Rihanna!? GOOD job to whomever the make-up artist is as well! 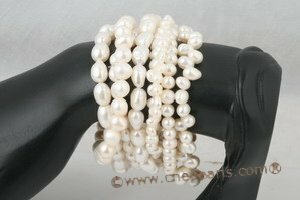 This page contains all entries posted to wholesale jewelry,pearl jewelry,cultured pearls in September 2009. They are listed from oldest to newest.